COMSOL | How will initial US investment affect Cuba’s telecom market? How will initial US investment affect Cuba’s telecom market? 02 Mar How will initial US investment affect Cuba’s telecom market? Cuba’s journey towards a better telecom market – which began in 2008 when the government allowed citizens to own mobile phones for the first time – accelerated when, on the heels of newly rekindled relations with the US, the latter opened up the way for companies to invest in Cuba’s barely functioning telecoms industry. 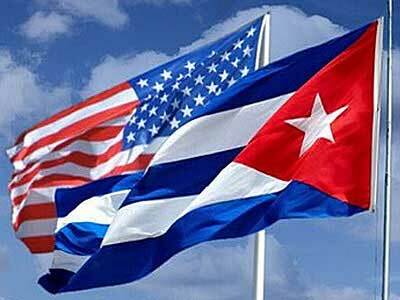 The US and Cuba signed an agreement to halt animosity in December, and it took three months for the first investment deal to take place: Cuba’s state-owned telecom provider Etecsa and US international telephony provider IDT agreed to exchange international long-distance voice traffic between both countries. The agreement was filed with the Federal Communications Commission (FCC) for review, and it should resolve the matter within 10 days. The interconnection, of which technical details are still unknown, will “ultimately help make it easier and more affordable for our customers to call friends and family in Cuba,” according to Bill Pereira, CEO of IDT. Should it move forward, the interconnection will provide a much-needed push to the country’s telecom industry. Cuba’s telecom and IT market remains one of the most underdeveloped in Latin America, with the island’s internet penetration estimated at 25.7% as of 2013, according to data from the International Telecommunication Union (ITU).